*UPDATE* Due to the rain, spraying has been delayed until tonight (August 4th) in Brooklyn and Queens, and August 8th in Rockaway! "Tonight's spraying in Queens and Brooklyn has been postponed until tomorrow night due to weather. 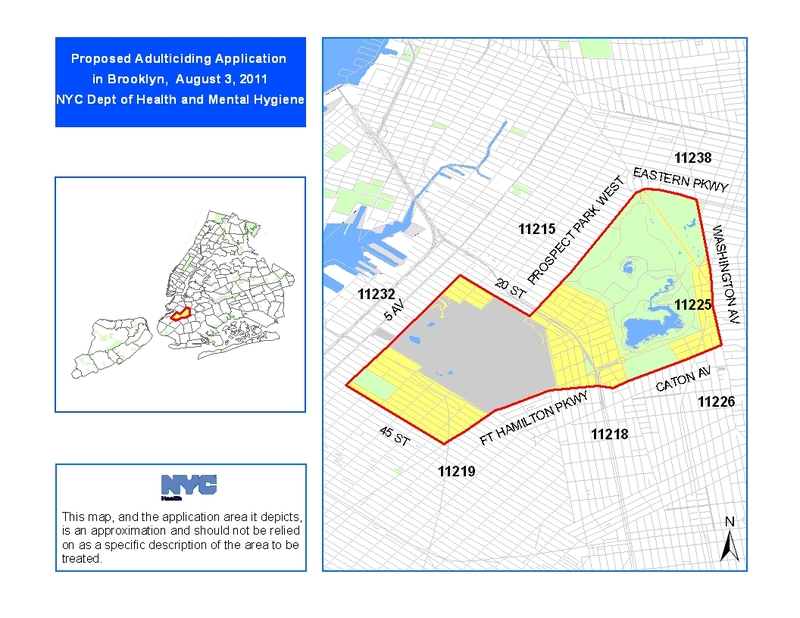 Tomorrow night's originally scheduled spraying in Queens is now scheduled for August 8, weather permitting." 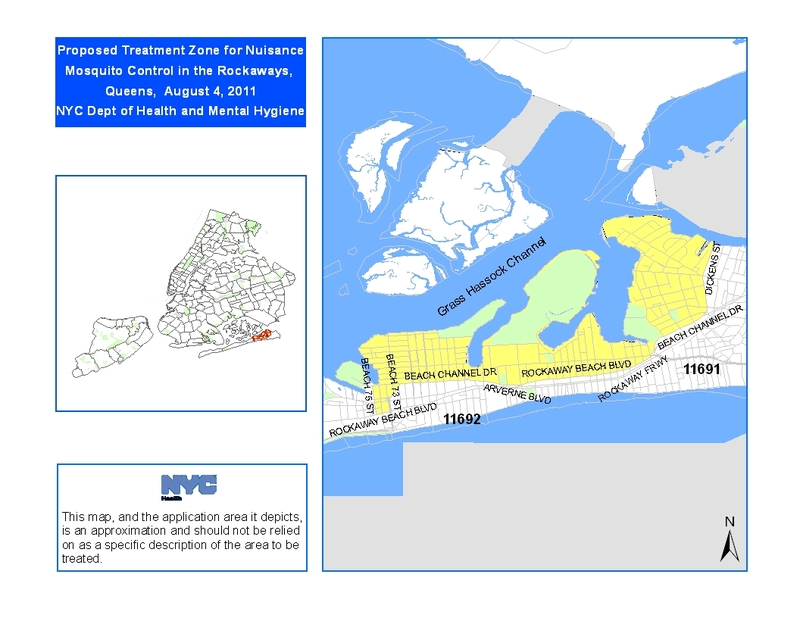 August 1, 2011 - To reduce mosquito activity and the risk of West Nile Virus, the Health Department will spray pesticide from trucks in parts of Pomonok and Holliswood in Queens, and parts of Greenwood Heights, Park Slope and Windsor Terrace in Brooklyn, on Wednesday, August 3, 2011 between the hours of 8:15 p.m. and 6 a.m. the following morning, weather permitting. In case of bad weather, application will be delayed until Thursday, August 4, during the same hours. 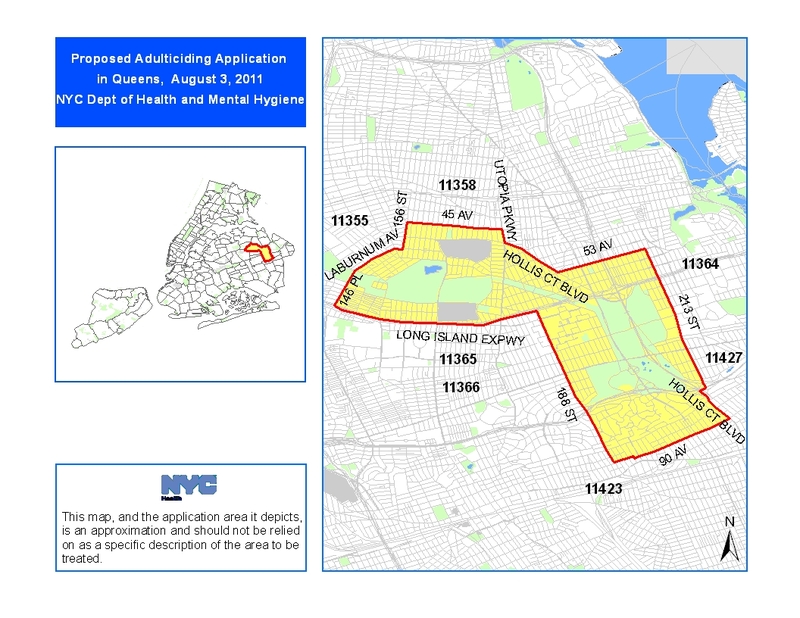 Ground-based spraying will occur in Far Rockaway on Thursday, August 4 between the hours of 8:15 p.m. and 6 a.m. the following morning, weather permitting. In case of bad weather, application will be delayed until Monday, August 8, during the same hours. Recently, the Health Department received several mosquito nuisance complaints from the neighborhoods of Arverne, Somerville, Edgemere, Bayswater; Edgemere Park and Dubos Point Wildlife Sanctuary. Some mosquito breeding sites in these areas are inaccessible. The Health Department believes that the proposed nuisance ground application of adulticide will reduce the population of nuisance mosquitoes. For these sprayings, the Health Department will use a very low concentration of Anvil 10 + 10, a synthetic pesticide. The use of pesticides in New York City is conducted in accordance with guidelines set by the Environmental Protection Agency (EPA) and the New York State Department of Environmental Conservation (DEC). 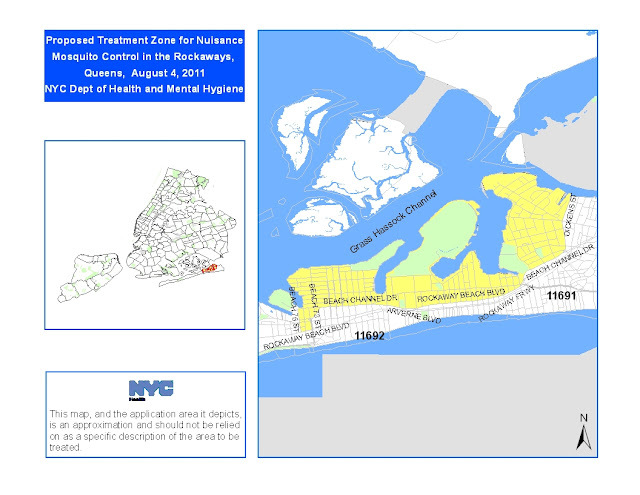 A complete Environmental Impact Statement (EIS) is available at www.nyc.gov/html/doh/html/wnv/feis.shtml. 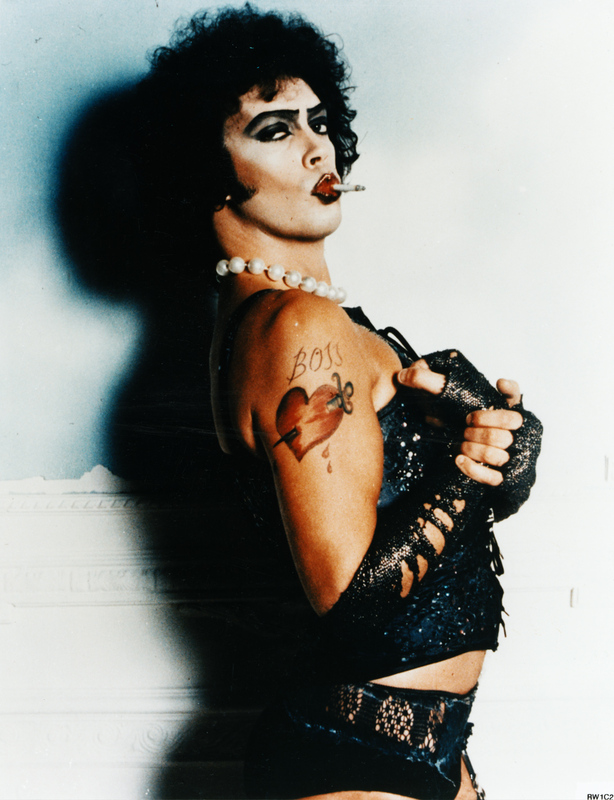 Well, there are a couple things to take in to consideration. Firstly, the spraying is being done by ground level trucks and at night in a relatively small number of neighborhoods, so unless you live in one of the areas highlighted in the maps above and your hives are in the front yard and populated with vampire bees, the little buggers probably will not be sprayed directly. Your bees won’t be flying at night, so your foragers won’t be directly in the line of fire. HOWEVER, that does not mean you shouldn’t take basic precautions to minimize exposure through overspray or drift. Jim at NYC Beekeeping suggests setting up a tent of sorts to protect the front and sides of the hive from any spray. An explanation of his idea can be found HERE, and a diagram of his suggested set-up is HERE. Many of you will not have the time or materials to set up a tent on such short notice. Well babies, don't you panic. By the light of the night when it all seems alright, I’ll suggest some other methods to minimize exposure. The lows for the next two nights are 68 and 70, respectively. Because we are lucky enough to have a break in the heatwave and because the active sprays are being done at night, I suggest simply closing up the entrance to the hive with wire mesh or screen in the evening. You can then loosely drape the front of the hive with a wet, breathable cloth. Burlap would be best, but if you don’t have that, get creative. An old bed sheet would probably do the trick. The screen will prevent any bees from flying, and the damp cloth will both prevent spray from getting in (or on) the hive and help keep it cool. Make sure you remove both the screen and the cloth in the morning, otherwise your bees won’t be able to keep the hive cool in the heat of the day. To minimize the exposure of your field force or foraging bees, you should gorge the hive with sugar syrup. You all have hive feeders, and now is the time to use them. By giving the bees an internal supply of food, you will curb the numbers of bees leaving the hive, and accordingly minimize the number of bees exposed to residual pesticides. The authors of The Beekeepers Handbook, Diana Sammataro and Alphonse Avitable, suggest pouring a quart of sugar syrup directly on top of the frames twice a day for two to three days after a spray to limit foraging. I think that the combination of a hive top feeder and a couple of sprays of sugar water in and on the front of the hive should be sufficiently distracting. If you’ve been seeing a lot of pollen come in, you might consider feeding a pollen supplement as well, to discourage them from bringing in contaminated pollen. 1.) In the EVENING BEFORE THE SPRAY: Close up your hives with screen mesh blocking the entrance and a wet, breathable cloth draped over the front of your hive. This will prevent direct exposure of the bees to the pesticide, and help prevent the hive from getting covered with chemicals. 2.) In the MORNING AFTER THE SPRAY: Open the hive back up by removing the cloth and screen. This prevents your hive from overheating. 3.) GORGE YOUR HIVES with artificial feed (sugar syrup and pollen supplement) before and for several days AFTER the spray. This minimizes (but does not eliminate) the number of bees actively foraging and being exposed to residual pesticides.